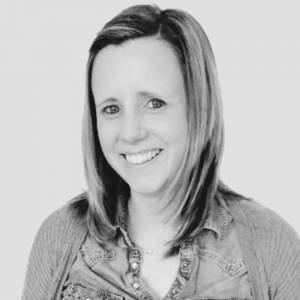 Sarah sparkles with enthusiasm and describes herself as tenaciously passionate about her work as a family therapist. She has over fifteen years’ experience working across different NHS services in Warwickshire, Worcestershire, Hertfordshire and the Black Country prior to taking up a post as a Family Therapist in Child and Adolescent Mental Health Services (CAMHS) working across West Sussex. Sarah originally began her career as Drama Therapist before undertaking training as a Systemic Family Therapist. Drama therapy seeks to build a bridge between the art form of theatre and the natural healing power of drama itself. It is essentially an embodied art form that utilizes the restorative power of drama to help people understand themselves in refreshingly new and creative ways. Sarah believes that drama is not only a creative vehicle for the transformation of human distress but also offers a playful space for spontaneity and imaginative exploration and is thereby deeply resourcing. Sarah has extensive experience working with children and young people blending drama therapy seamlessly into systemic work with families. Endlessly keen to explore new ways of working therapeutically, she has been instrumental in developing projects including Creative Therapeutic Farm Experience for Foster Carers and their children, as well as a Sexually Harmful Behaviour team. She has also developed a model for working systemically with families where a child or young person has been sexually exploited or suffered the trauma of sexual abuse. As a Systemic Family Therapist, Sarah seeks to build on existing strengths and helps families take restorative action by concentrating on the resources they already have to make a sustainable therapeutic change. She has a particular interest in the generational impacts of trauma and how this shapes attachment communications and relationships within families. A large proportion of her work has been focused on systemically managing different parts of the professional network surrounding families and consulting with key professionals including health, social care and education. A key part of her work involved offering training and support, especially within schools to stabilise placements for looked after children and young people. Sarah is a fully registered with the Association of Family Therapy (AFT) as a Systemic and Family Psychotherapist. She is also registered with the British Association of Drama Therapy (BADT).